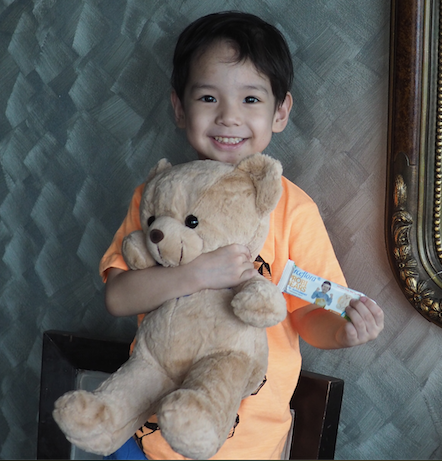 TOPAZ HORIZON: Piero loves his ProbiBears! I've been looking for an excuse to share these cute photos of my son Piero and now I have one! 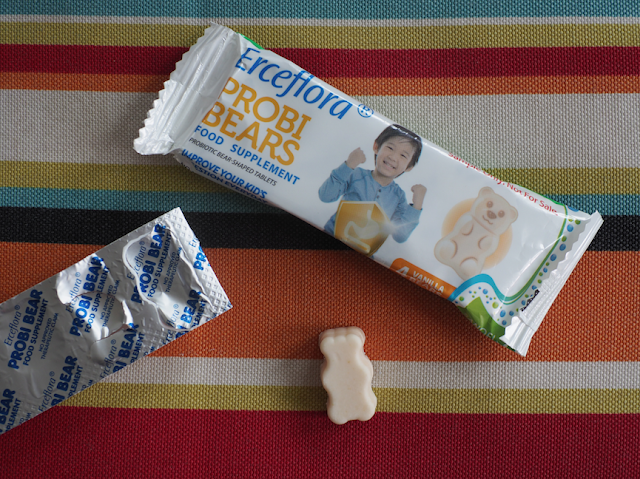 My mommy blogger friends, Rowena Wendy Lei of Animetric's World and Ava Zabat of Artsy Fartsy Ava, are giving away FREE Erceflora ProbiBear probiotic supplements! 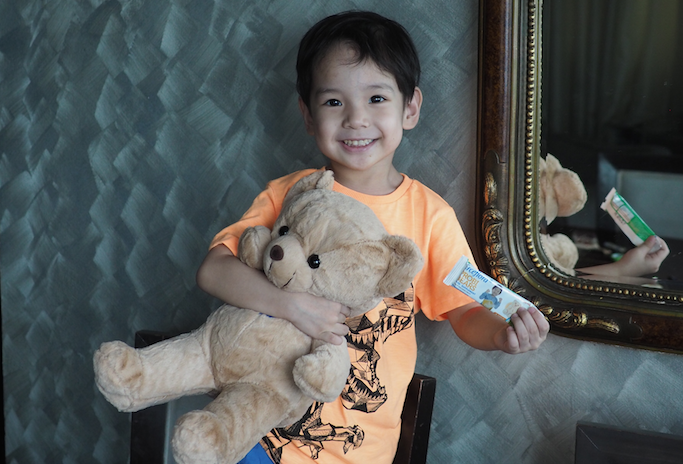 Yes, sila ang may giveaway, ako ay may pictures lang ng anak ko hehe. Check out the Instagram handles of Rowena and Ava to join their giveaway. Meanwhile, I'll do a quick overview and review of this health supplement. Probiotics are live microorganisms that benefit the body when we eat them. We have good bacteria and bad bacteria in our bodies, especially in our gut. When the bad bacteria overwhelm our gut, we get diarrhea, gas, bloating, constipation, acid reflux. How does this happen? Oh, bad diet. When we get sick and we have to take antibiotics which kill all the bacteria in our body—good and bad. Probiotic bacteria like Lactobacillus acidophilus, Bifidobacterium lactose, and saccharomyces help maintain the healthy environment in our tummy. How can they specifically help my kids? Probiotics is good for everyone. That's you and me, mamas! Kids benefit, too, because a healthy gut means it absorbs more nutrients from the food they eat. More nutrients in the body, better growth and development! 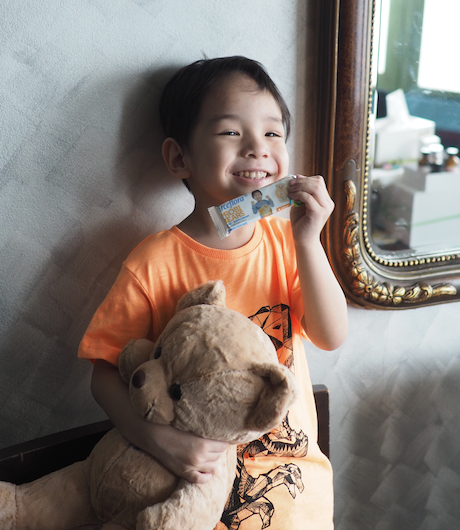 So aside from preventing gut problems, probiotics can also help our kids grow better. Probiotics also help manage allergies and infections. If your kids are teens, probiotics may also keep skin clear, improve mood, and prevent bad breath! However, I strongly encourage you to always ask your child's pediatrician before giving probiotic supplements to your kids. A diet rich in probiotics is always a good thing. They are naturally found in yogurt, fermented food and drinks (pickles, atsara, kimchi, kefir milk, kombucha), miso soup, and soft cheeses (Gouda, mozzarella, cottage cheese). So serve these generously! In fact, probiotics are so beneficial that many food brands have added probiotics in a lot of food like cereal and milk. Erceflora ProbiBears is now available at select Mercury Drug and South Star Drug branches for only Php 540 a box (20 bears in a box). Since it's a daily supplement, it ought to be 30 bears in a box. Again, I urge you to consult your pediatrician first before giving your child any health supplements. Kasi baka enough na yung diet niya, or he needs a certain kind of probiotic, or if he has medical condition na hindi siya pwede mag-probiotics. Ask your doctor first!